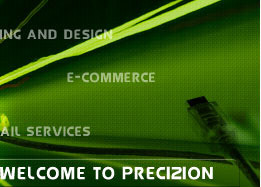 Precizion Hosting Solutions (Precizion) was founded in 1999 as a web-design and web-host reselling company. Over the following years, the company quickly grew into a fully operational web-design and web-hosting provider. Precizion is based solely in the Denver Colorado area. We offer more services, more features, more web-site, for less money. Find out why! If the FAQ below does not answer your questions, please contact us. How do Precizion’s plans match my business needs? Can I upgrade my domain hosting plan? Does Precizion handle domain registration? Can I transfer existing domain to Precizion? How long has Precizion been in business? Yes, you will be able to access the domain name with or without the www. in front. For example, you could access the domain name "Precizion.com" by going to "www.Precizion.com" as well as "Precizion.com". How do Precizion's plans match my business needs? Some businesses choose to start slowly and move through each stage in succession, and others leap in at a higher level. How you choose to approach this is entirely up to you. To explain these terms and to place them in the context of Precizion's hosting plans, let us consider each term. The Advertiser. This is often the first step taken by a business when getting their own web site. It involves creating a web page or several web pages to advertise your business, and promote the goods and services that you offer. The nature of the pages can be very simple or quite elaborate depending on what you see as the best for you. If this is where you want to be, then Precizion’s Personal Plan is probably sufficient for you. The Marketer. Marketing involves both advertising and more directed efforts arising typically from obtaining feedback from visitors to your site. In marketing jargon, you are interested in qualified leads. While you can get visitors to send you an email under the personal plan, you can expand on that by preparing forms that your customers complete, giving you their name and contact details along with their area of interest when using our Plan 1. Additional features such as an in-built search mechanism can allow your customers to search for particular things in your web site. The forms entry would also allow you to receive simple order requests from your customers. The Simple Trader. An increasing number of internet users are looking to actually purchase goods over the internet. To achieve this you need to start building a database of at least your key products. The first steps are typically to present your database of products/services and through provided software such as the shopping cart, allow the visitors to place an order for those goods. Your own in-house procedures then take over to confirm orders, arrange payments etc. Some people then print the order, insert their credit card details and fax the order through. Alternately, you can introduce electronic commerce arrangements and acquire credit card details over the internet. Usually you need to offer your customers the comfort of secure transaction processing for this to be successful. All these features are available in Precizion’s Plan 2. The Extended Trader. Typically the extended trader offers their full product range over the internet and has established secure transaction processing. Naturally this requires more substantial database activity and probably more space. If our Plan 2 is not sufficient, then you may need to move into a Plan 3 or 4 to obtain these expanded features appropriate to your requirements. No. We have chosen to focus on serving you with our core services. Dial-up access is expensive to maintain, and we do not feel we could continue to offer low prices and the same level of customer support. You can still connect to us by using your local Internet Service Provider. Yes. 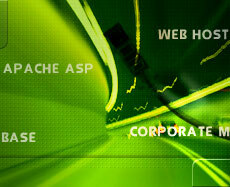 We have developed a network of suitable specialists who can assist you in developing your own web pages. Depending on the workload at the particular time, we will either utilize our in-house expertise, or call upon one or more of our associates. If you feel that you have very particular web page design needs, we will gladly send you a list of companies that offer web page consulting, web page development, and/or custom scripting services. You will be able to contact one or more of them to discuss design and pricing. For more information, contact us. You can upgrade from plans by sending your request to mailto:sales@Preciziongroup.com or calling us at 1-866-203-1857. All plans may include a one-time $29.99 set up fee. Yes. You can check domain availability here. 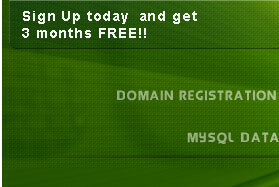 Yes, and for new domain names and with most accounts, we pay for the first year registration! Can I transfer existing domain name to Precizion ? Yes. Whether you place an order by telephone or via our online order form, be sure to specify that you are requesting a transfer and NOT a new domain. You should keep the service at the present site while waiting for InterNIC to complete the transfer. We will provide you with a temporary IP address so you can mirror the site on our server. All email and web pages will still be accessed from the current site. When InterNIC announces the completion of the transfer there is a 72 hour propagation period where visitors could go to either site. At the end of the 72 hours you should contact the previous host to have them delete the old domain from their records and update their DNS record. If you use this same provider for your Internet access you will not be able to access your domain site at Precizion until they update their DNS. Once the InterNIC announces that your domain name has been registered (or transferred, if applicable), it usually takes about 72-hours before it is active. All internet providers must update their records (DNS tables) to reflect new site locations. This is called propagation . What is the fee for domain registration ? Precizion pays for new domain names for the first year with the purchase of a new hosting account. If you are just registering a domain name, charges vary. Other registrars charge their own fees. Files may be transferred to the web server via File Transport Protocol (FTP), via direct Telnet, or Microsoft FrontPage. Yes. There is a one time $10 setup fee for this service. Yes, you can use your account for commercial purposes. The World Wide Web has become a most efficient and cost-effective means of making information available to the users of the internet community. If desired, a secure site is available to you. If you use our key, it is also FREE. Yes. You can resell space within your account. However, you will be responsible for its content and data transfer. It will not be possible to acquire multiple account passwords for FTP access. If you are using FrontPage, then you can create separate webs with separate users, however, they MUST use FrontPage to publish their web site. How long has Precizion been in business ? Precizion is a Sole Proprietorship started in 1999. Our rapid growth is the direct result of our strong commitment to quality and our guiding vision of being the world's best web hosting company. We bill at quarterly, semi-annual, annual, and 2 year increments and require a minimum three month contract. We accept Visa, MasterCard, as well as personal and business checks and money orders. Yes. We encourage our customers to send email to support@Precizion.com with questions or concerns about their web site, or visit our support section. We answer mail 24 hours a day, and respond quickly to support questions. Additionally, because of an alliance with HELP-SITE, we can offer a knowledge base via our support web 24 hours per day. Typically an order that includes full payment information will be processed within 4 hours of its receipt. Usually you should have an email forwarded to you with your new account information on the morning following our processing. Once an account is set up an activation notice will be sent to you via email including a userid, password, and FTP hostname. You can begin uploading files to your new web site immediately. Domain account users will be given a temporary URL to access their site via the web prior to the completion of either domain registration or transfer.